WHETHER YOU NEED TO ACCOMMODATE A WEAPON, FISHING GEAR, KAYAK OR TAKE A CAMPING TRIP TO THE BACKCOUNTRY, YOU CAN EASILY CUSTOMIZE YOUR TORQ SUPPRESSOR VLE EXPERIENCE. If you're a hunter, keeping your weapon tightly secured on your way in and out of the woods is critical. This optional bow/gun rack easily mounts to the cart and holds your prized possession firmly in its shock-absorbing dense foam rubber fist. 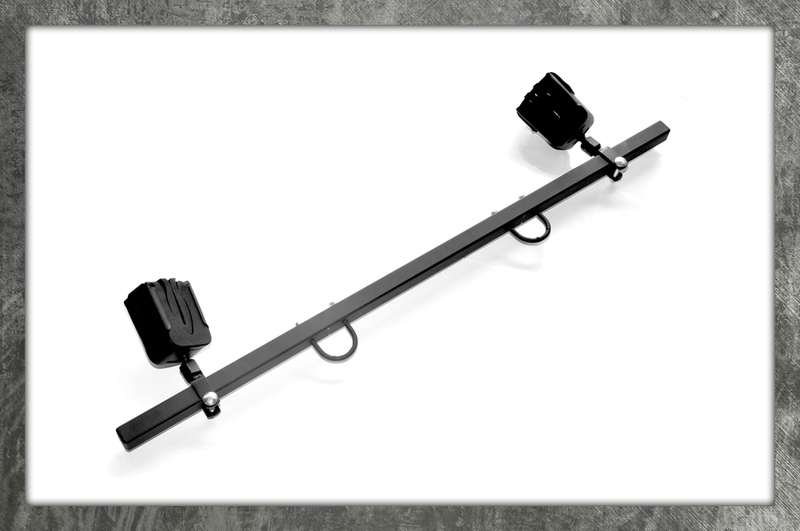 Depending on the type of weapon you'll be hunting with, the rack can be adjusted from holding any type of bow (compound, cross or recurve) to holding a rifle or shotgun in a matter of minutes. One of the SUPPRESSOR VLE's most unique features is its ability to easily convert from standard automotive-style Brake & Throttle controls to handicap-ready utilizing a well-designed and easy-to-use system by Sure Grip™. Built by the folks that developed the same set up for use on highway/passenger car applications, these controls install fast and easy since each SUPPRESSOR VLE has the systems' anchor points already engineered into the frame. This option is handy on SUPPRESSOR VLE carts with or without handicapped controls. The knob is not only “quick release” it's also ball-bearing designed to reduce steering effort, particularly in tight situations. Available in wood or plastic, this knob is a simple install and greatly enhances your driving experience. Keep rain, mud, spider webs and branches off your face as you fly down the trail or through the woods. 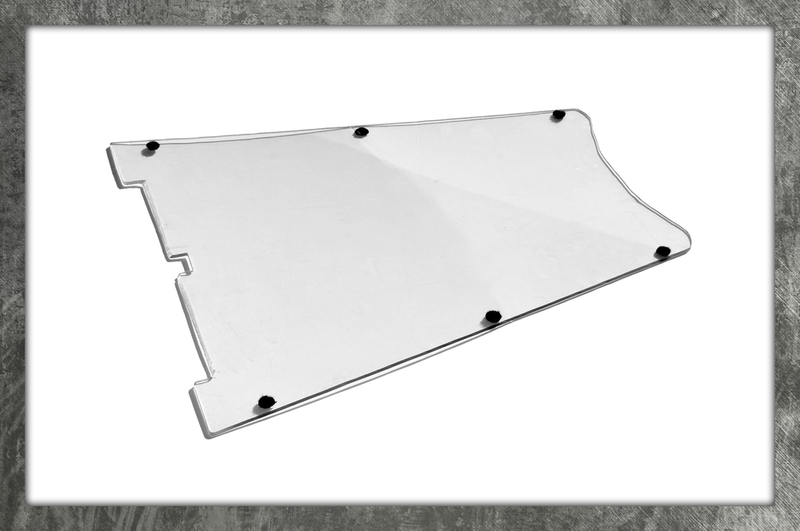 Made of Lexan, this strong, lightweight, custom-fitted, quick release windshield makes a great addition to your SUPPRESSOR VLE's equipment list. 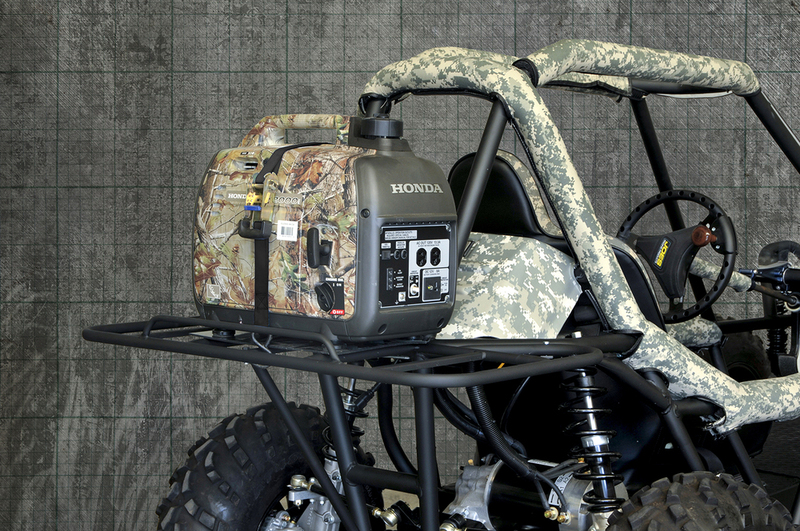 When you need to go “Off The Grid” into areas with no convenient power source, the Honda 2000 Generator's 110 volt outlets make it ideal for charging the SUPPRESSOR VLE. Weighing in at only 45 lbs, this suitcase style, super-quiet generator fits perfectly on SUPPRESSOR VLE’s cargo rack and can charge the cart while you're hunting or sleeping.